With the group stage of the Champions League done and dusted, sixteen clubs will now fight for the glory in the knockout stages. Here is everything that went down in the Round of 16 draw. I hate UEFA. They pair sixteen teams in eight exciting matches and then make us wait for two months before the actual kick-off. Someone at UEFA must have seen Indian daily soap before coming up with such an idea. Regardless, there are some mouth-watering fixtures to look forward to, in the recently concluded draw for the round of 16. While the neutrals will be happy with the fixtures like Bayern vs Liverpool and Juventus vs Atletico Madrid, not everyone went home with a smile. The European Champions have failed to cope up with the departure of Ronaldo and Zidane, to say the least. Five months into the new season, Madrid have already sacked their manager, lost 5-1 to Barcelona, lost twice against CSKA Moscow and have scored fewer league goals than Messi and Suarez combined. In conclusion, this has been a horrible season for Real Madrid so far. But now, they have something to smile about. Real Madrid will be facing AFC Ajax in the round of 16. 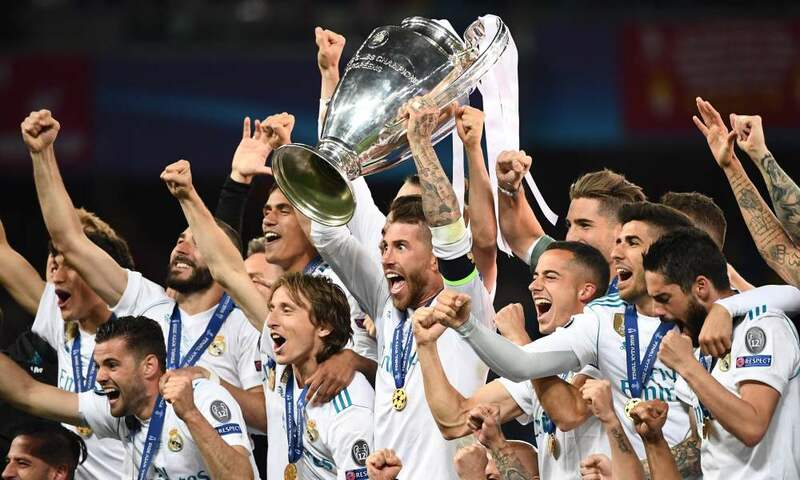 Make no mistake, the Dutch club has a great young squad which made life difficult for Bayern in the group stage, but Los Blancos are just too damn experienced in Europe. Ramos and co. know how to get the job done in the knockout stages. After all, they have not been knocked out since 2015 semi-finals. And given their current form, Santiago Solari will take on Ajax instead of Spurs or Liverpool any day. Hence, a good day for Madrid overall! Out of all 32 teams in the group stage, Porto finished the first half of the competition with the most points – sixteen! The Portuguese side managed five wins and just one draw in their six games. With 15 goals scored, Porto finished the group stage with more goals scored than Barcelona, Juventus and Real Madrid. And they definitely deserved to be in the round of 16 amongst the big boys. But it would have been unfair to them to be paired against Liverpool, Atletico Madrid or even Tottenham, after such an incredible performance so far. And AS Roma is not a bad pairing for the Portuguese club. Of course, the Italians are last season’s semi-finalists, but they are nowhere near their best right now. Roma are currently 6th in Serie A and qualified for the knockout stage of UCL with 3 defeats and 3 wins. The capital city club is struggling at the moment and it will give Porto a fair shot at the quarter-finals. He’s coming back to the city he ruled for nine years. Ronaldo is coming back to Madrid. 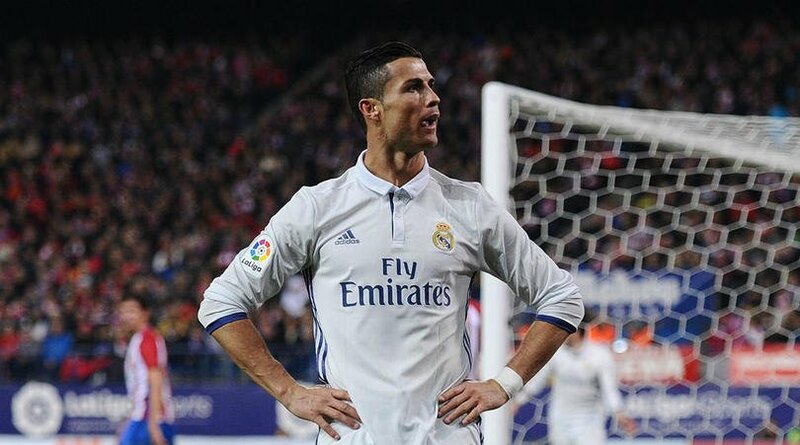 But he will be setting his camp at the Wanda Metropolitano, fifteen minutes away from the Santiago Bernabeu as Juventus will take on Atletico Madrid. And the 33-year old will be thrilled about the contest. Ronaldo has scored just one goal in the Champions League this season. But we all know what he is capable of in the knockouts. And to face a club against which he has already scored 22 goals is a cherry on the top for Cristiano Ronaldo. And Juventus will be happy with Ronaldo’s track record against Atletico Madrid as well. The Turin side has not faired very well against the Spanish clubs in the past. But with Ronaldo in the side, that will be the last thing to worry about.